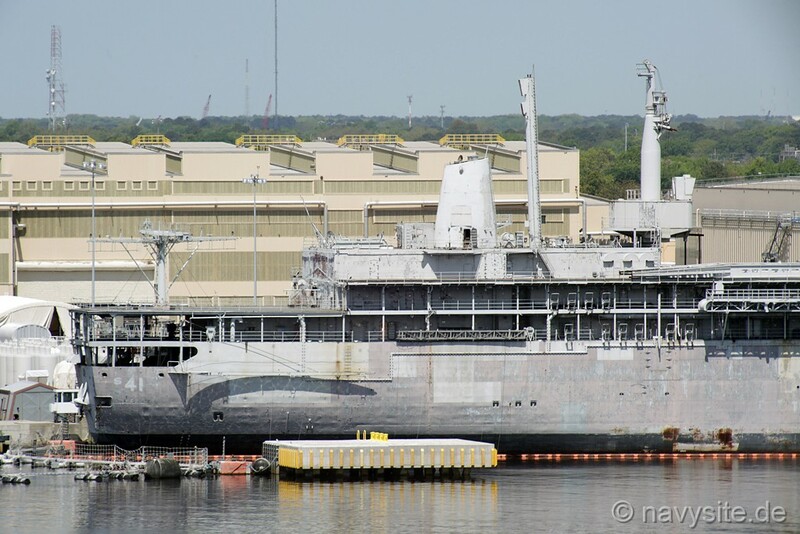 USS McKEE was the third EMORY S. LAND - class submarine tender and most likely was the last submarine tender built for the US Navy. During her 18 years of service the McKEE was awarded the following awards: the Battle E (4 awards), the Meritorious Unit Commendation (3 awards), the Golden Anchor Award, and the Southwest Asia Service Medal. 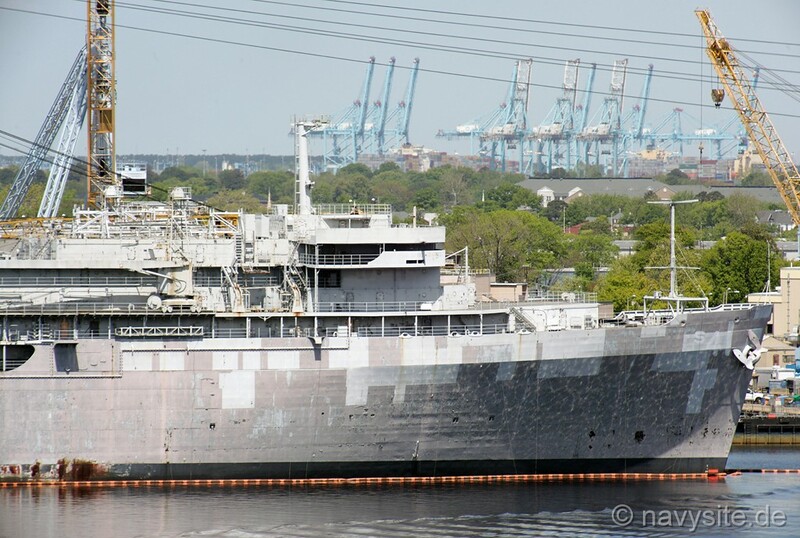 Decommissioned on October 1, 1999, and stricken from the Navy list on April 25, 2006, the McKEE is currently laid up at the Norfolk Naval Shipyard in Portsmouth, Va., awaiting disposal. This section contains the names of sailors who served aboard USS McKEE. It is no official listing but contains the names of sailors who submitted their information. 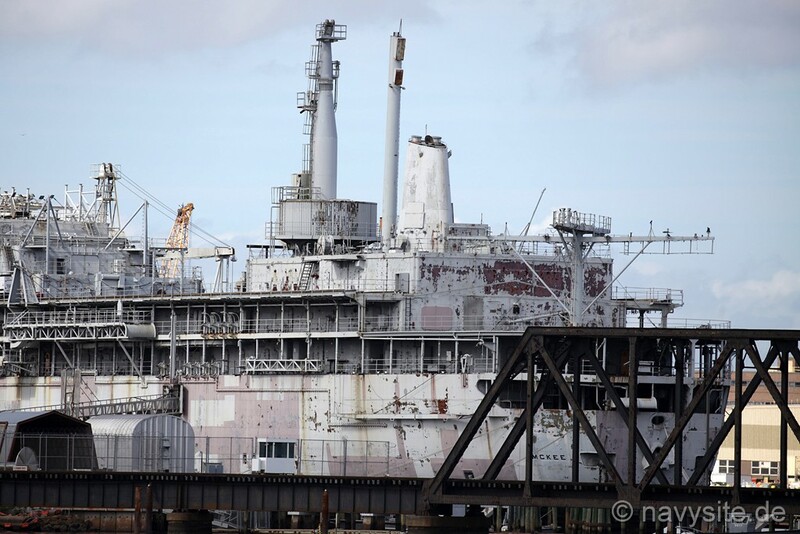 Click here to see which USS McKEE memorabilia are currently for sale on ebay. 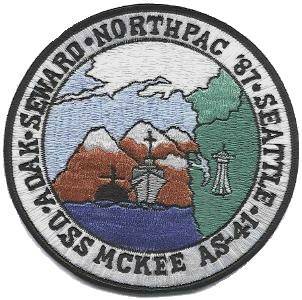 USS McKEE was commissioned 15 August 1981, and followed USS EMORY S. LAND (AS 39) and USS FRANK CABLE (AS 40) as the third of the LAND - class of submarine tenders built by Lockheed Shipbuilding and Construction Company of Seattle, Washington. After a series of sea trials, McKEE joined USS DIXON (AS 37) in San Diego to support Pacific Fleet submarines. During McKEE's first decade, she set the standard for submarine support around the world. 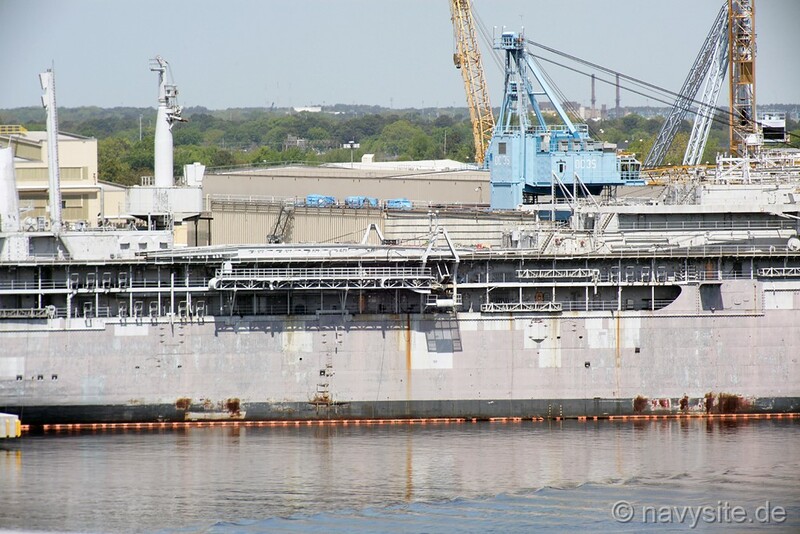 Early in 1984 McKEE became the first submarine tender certified to support the new Tomahawk Cruise Missile system. McKEE earned three consecutive Battle Efficiency "E" awards in 1985, 1986 and 1987. In addition to the Battle "E" in 1986, McKEE was honored with the Golden Anchor Award for retention excellence and her first Meritorious Unit Commendation. 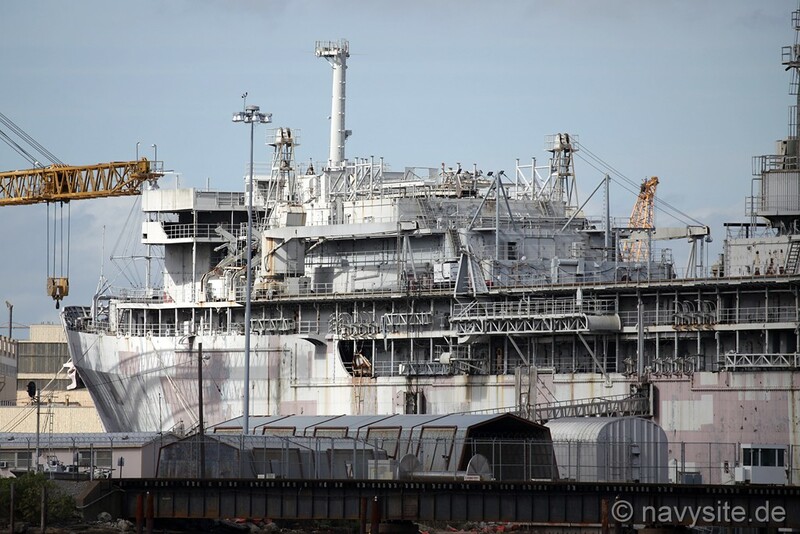 In 1987, McKEE was the first submarine tender to visit Adak, Alaska since World War II, and conducted the first nuclear submarine upkeep at this remote location. 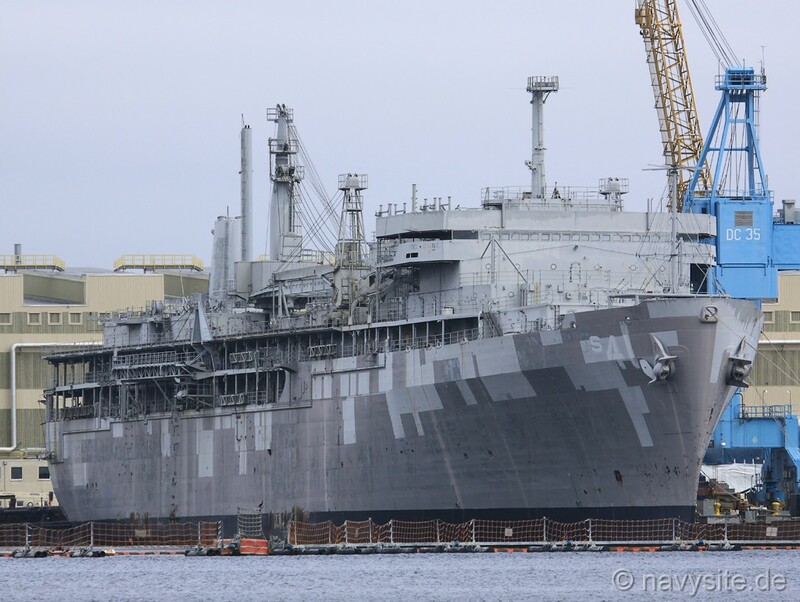 1988 saw McKEE become the first submarine tender certified to handle the Tomahawk Vertical Launch System (VLS). 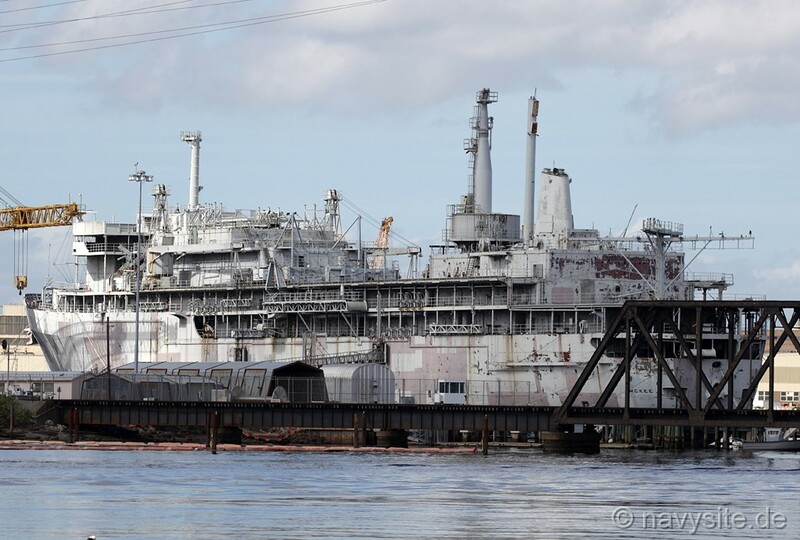 In March 1990, McKEE continued leading the way for submarine tenders by participating in the first underway Fuel replenishment by a Pacific Fleet submarine tender. This fuel was in preparation for deployment to the Persian Gulf in January 1991. When Operation Desert Storm began, McKEE deployed to the Persian Gulf and spent six months providing support to submarines and surface combatants. McKEE was awarded a second Meritorious Unit Commendation and the Southwest Asia Service Medal. Following Desert Storm, McKEE was awarded a fourth Battle Efficiency "E" Award. 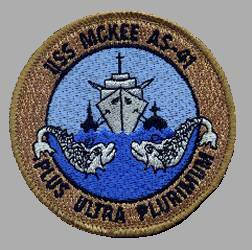 In 1995, after the decommissioning of USS DIXON, McKEE provided all support to San Diego based submarines. Assistance was also provided to many Allied submarines while they visited Point Loma. In 1998, McKEE earned a third Meritorious Unit Commendation following a six month deployment to Pearl Harbor. 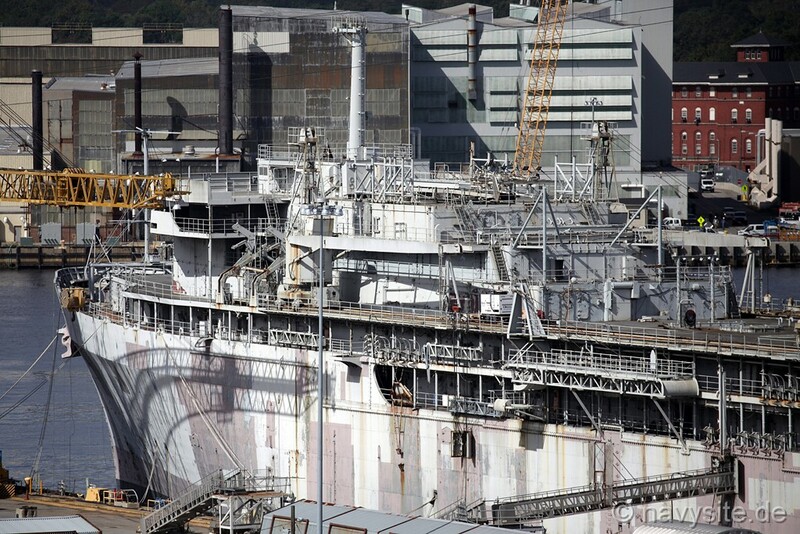 During this deployment, McKEE provided services and conducted repairs to both U.S. and Allied submarines and surface combatants. Upon returning to San Diego, the ship took the lead in establishing shore-based services that will support the submarines after McKEE's departure. 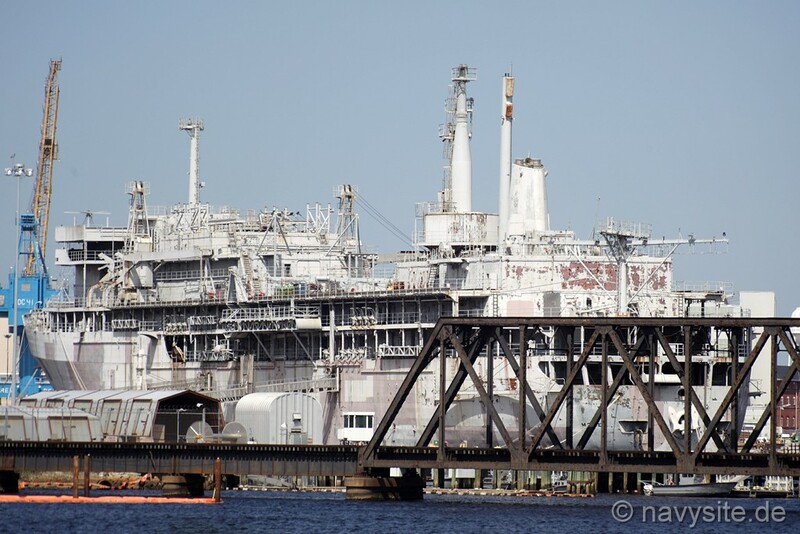 The ship was decommissioned on October 1, 1999. Rear Admiral Andrew I. McKee pioneered modern submarine design and development. A native of Lawrenceburg, Kentucky, Admiral McKee graduated from the United States Naval Academy and was commissioned an Ensign in 1917. He served with USS HUNTINGTON until he reported to the Naval Academy as a navigation and physics instructor. In 1921 he received a Master's Degree in Naval Architecture at the Massachusetts Institute of Technology. Following several design and construction posts, he became Officer in Charge of submarine design for the Navy Department from 1926 to 1930, where he directed the design of the first new classes from which evolved the successful fleet submarines of WWII. Admiral McKee worked in submarine planning, design and construction as the Design Superintendent of the Portsmouth Navy Yard from 1938 to 1945 and was awarded a Legion of Merit for his service there. In 1945, he joined the staff of Commander Service Force, Pacific Fleet, as senior Assistant Fleet Maintenance Officer. He was awarded a Bronze Star Medal and also a Gold Star in lien of a second Legion of Merit for directing emergency combat repairs of ships during the assault on Okinawa. Following his retirement, Admiral McKee spent many years as a research and design engineer for the Electric Boat Division of the General Dynamics corporation in Connecticut. He died in 1976 at the age of 80. 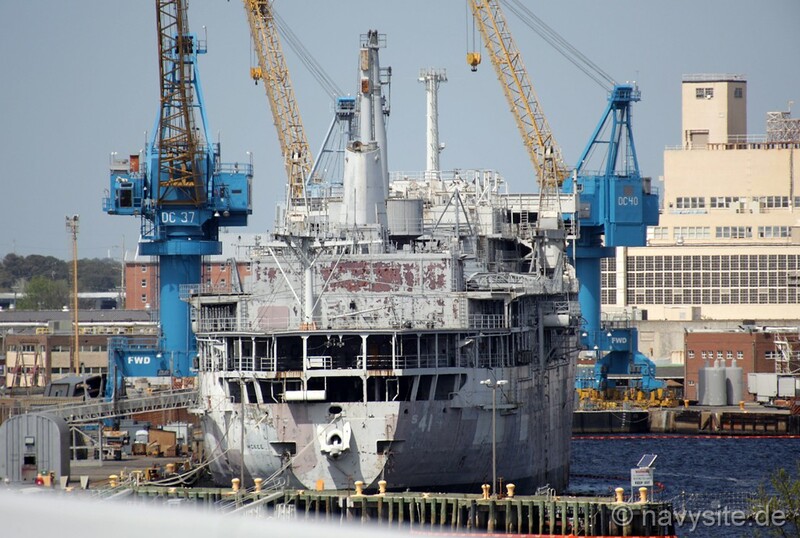 The photo below was taken by me and shows the McKEE laid up at the Norfolk Naval Shipyard, Va., on February 3, 2009. 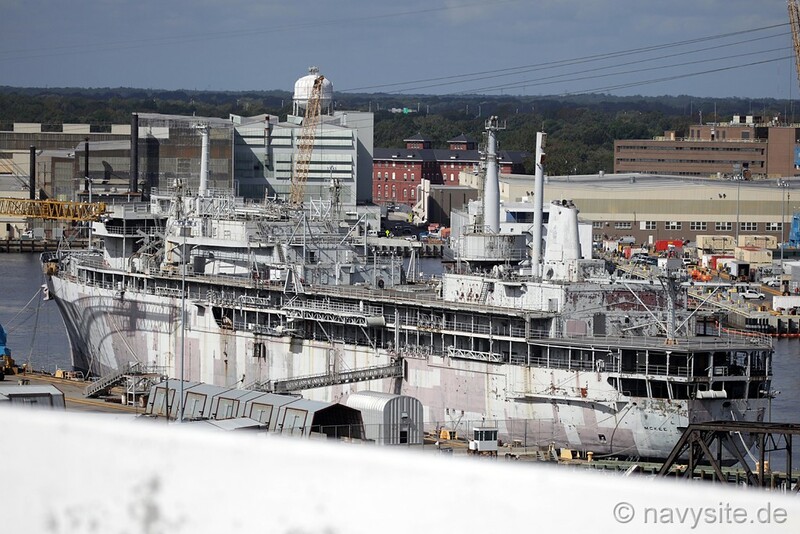 The photos below were taken by me and show the McKEE still laid up at the Norfolk Naval Shipyard, Va., on October 27, 2010. 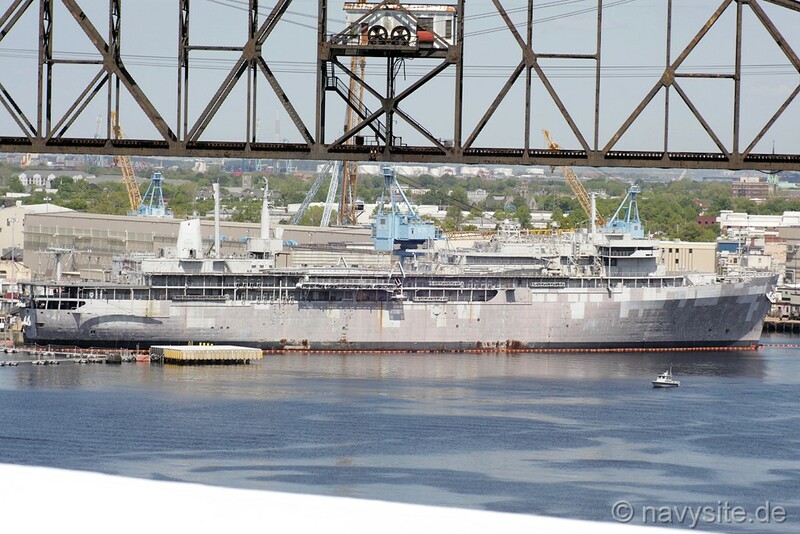 Compared to the photo above, she has been moved a bit closer to the Norfolk Naval Shipyard. 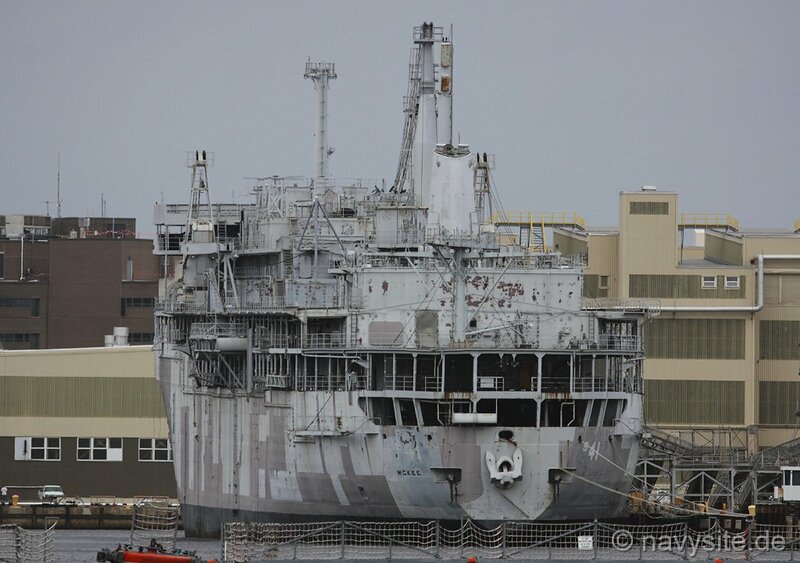 The photo below was taken by me and shows the McKEE still laid up at the Norfolk Naval Shipyard, Va., on May 6, 2012. 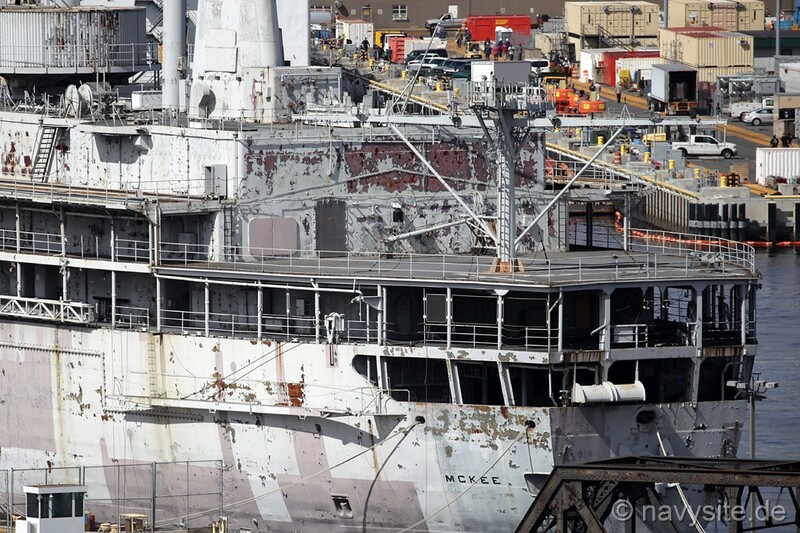 The photos below were taken by Michael Jenning and show the McKEE still laid up at the Norfolk Naval Shipyard, Portsmouth, Va., on April 29, 2015. 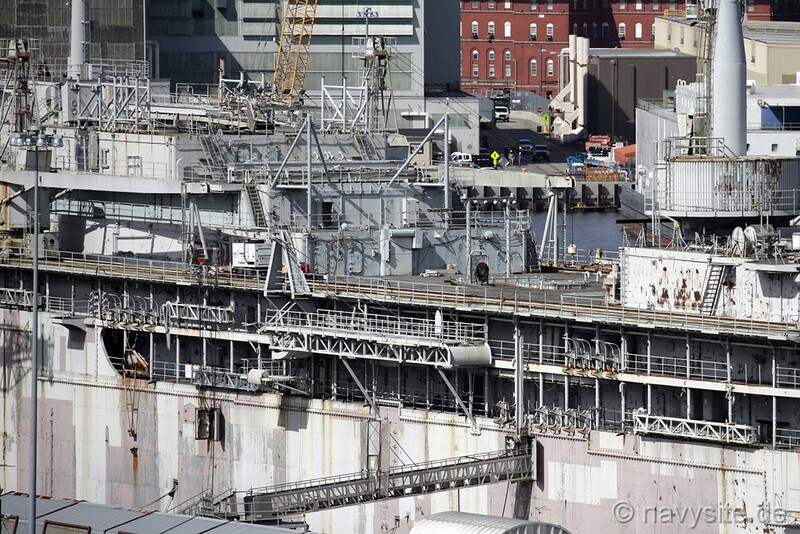 The photos below were taken by Michael Jenning and show the McKEE still laid up at the Norfolk Naval Shipyard, Portsmouth, Va., on April 13, 2016. 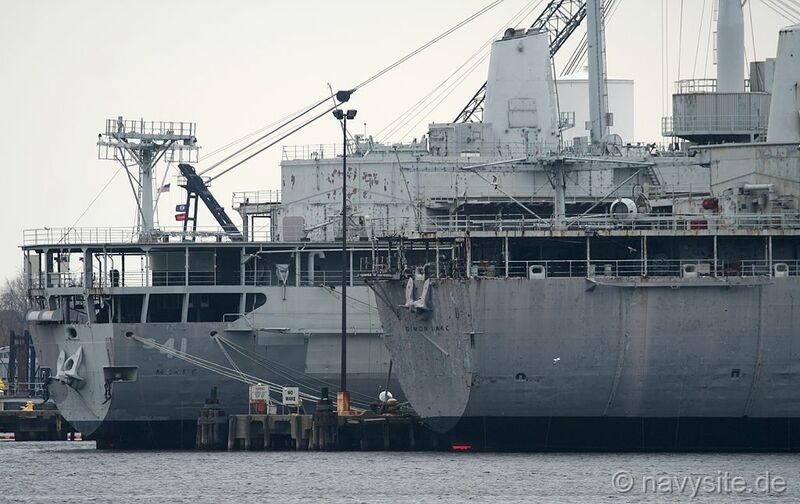 The photos below were taken by Michael Jenning and show the McKEE laid up at the Norfolk Naval Shipyard, Portsmouth, Va., on October 12, 2016.